The Center for Service and Community Engagement (CSCE) at Seattle University reached a huge milestone this year, celebrating its 10th year of connecting the campus and the wider community through sustained partnerships in order to deepen student learning, create a culture of service and promote a more just and humane world. CSCE was launched in 2004 under the vision and guidance of President Stephen Sundborg, S.J. in order to expand academic service-learning efforts, improve and strengthen community partnerships, empower students as leaders in the community and promote collaboration among all those engage in service and justice at Seattle U. On May 15, 2014, a lively crowd gathered to celebrate the service and justice work of students, faculty and staff. The Garfield High School Jazz Band welcomed guests before CSCE’s Director Kent Koth gathered everyone’s attention towards the stage. He shared the words of Rev. 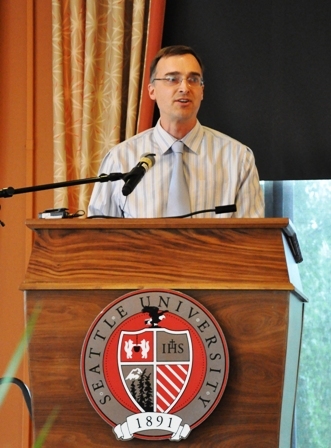 Peter-Hans Kolvenbach S.J., who said “when the heart is touched by direct experience, the mind may be challenged to change.” With that, CSCE’s vision is to build a web of interconnection between the educational programs at Seattle U and the needs and assets of the wider community. The Foundation is proud to have been a small supporter of CSCE since its beginning and we were humbled to receive a Founder’s Award recognition at this year’s celebration. Rev. 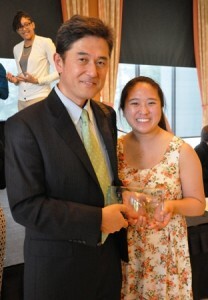 Naruhiko Yoshida, Temple Manager of the Shinnyo-en USA Seattle Temple and a director on Shinnyo-en Foundation’s board, received the award on behalf of the Foundation. The recognition truly represents Kent Koth’s dedication and commitment to engaging young adults in service as a means to create a harmonious and peaceful world. 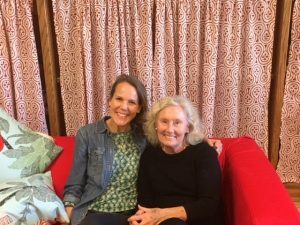 Kent reached out to the Foundation years ago in his leadership roles at Youth Community Service in Palo Alto and Stanford University’s Haas Center for Public Service. Rev. Yoshida shared that the amazing group of people who gathered to celebrate 10 years of the CSCE’s excellent transformational work, wouldn’t have been there without Kent’s and his awesome staff’s guidance. We’re also extremely proud of Ames Fowler and Stuart Haruyama, two of this past year’s Shinnyo Fellows, who were among the nominees for 2014 Spirit of Community Awards! The celebration concluded with inspiring poetry performances by two undergraduate students and lots of picture taking. 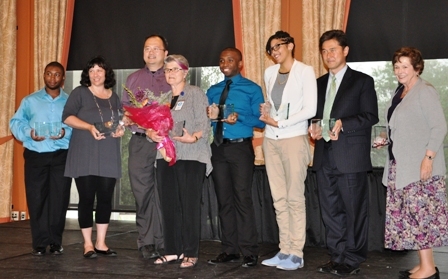 For an article and complete list of award recipients, see The Seattle U Commons website.